Summary: This story follows the story of Inokori Kuzuri son of Ishi Kuzuri, and Ino Yamanaka. Summary: An alternate universe story borrowing just the Universe from the original creator of the series "Naruto" - Masashi Kishimoto and filled with entirely different characters and stories while trying to maintain all the main elements of the genre like overblown larger than life battles, transformations and training montages and all the fan favorite elements. The story is about Nakotsumi Mana, a very strange young girl who struggled all of her life because she had strange ideas of peace in a world where violence is the norm. Mana saw all of reality as being magical as a child and saw ninjutsu as a magical tool to protect the magic of life. And because of that she became a stage magician as well as ninja, to show people that ninjutsu was not a tool of murder but something that each user define by themselves. Summary: When the country of Vhal brings back a missing Elder she winds up elsewhere by a planned accident designed to shape her into an intended form. Part One of the Control Duology. Possible semi-romance. Summary: In an Alternate Timeline, Konoha has a High School where students attend to attain a proper education. Within this school there are some people who just have a bad reputation, some are trying to get past their bad reputation. Among them is the unlikely Student Council President who is about to create a ripple in the lives of Naruto and his friends, but they will change his destiny as well. Summary: For generations Team 7 has produced some of the greatest shinobis of their age. Their feats of legend while earning them the love and admiration of their peers also brought with it the hatred of their enemies. It has been said after all, that the curses of the fallen can bring the very angels crashing to the earth. My take on the Itachi and Sakura pairing. AU - Sasuke dies in the attempt to kill his brother and Itachi finds himself visiting Sakura one night shortly after. He himself unclear why he would risk entering the village and Sakura in a state of deep despair over the loss of the man she loved. Summary: Taint is a dangerous poison. Once it begins, it spreads without limit. It will swallow everything in its path if it is not stopped. Such as all poisons, taint begins somewhere. Uchiha Sasaui only wanted to become a great Konoha kunoichi and make her family proud. Mokushi Hikaru fought to simply feel what her own heart told her. Gisei Kataki became caught up in a fate given to him by his family before he was even born. Ueda Takao wanted to know what it was like to have a soul. None knew just what the taint had planned for their own paths. Summary: The smallest acts of kindness can spark the greatest flames. In a village such as Konoha where the Will of Fire means so much, all flames are important. It was such a simple act of kindness that changed his entire life around. Once it was evident he had the Will of Fire, though, a life he could never imagine began. Ryu Sarutobi was the "adopted grandson" of Hiruzen Sarutobi. 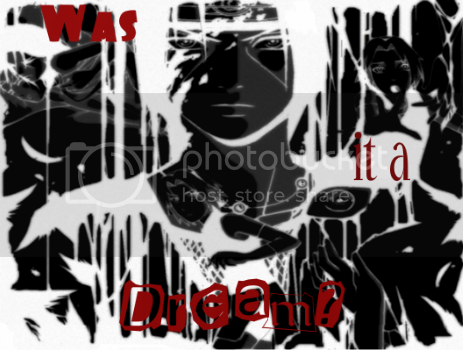 All people knew of him was he appeared out of nowhere with the Hokage's words backing him. As well as who they saw him become. He was a boy with a strange worry over a yin-yang ring he wore. He was a boy who gave his everything to protect the village. He was a boy who had a fire raging within him. He was a boy with a great light that could pierce the darkness. All people had to do was look. But he was also a boy who was cursed. And that curse would do anything to devour his light. A bright white path illuminated in the darkness of an empty space before her feet. It symbolized the unification of her brothers and their outstanding achievements that she wished to make as well. And so her goals, her dreams, her decisions, and her life relied on where that one path would take her. But what happens when, on a tragic night, the path splits into two and shifts colors? That once beautiful, peaceful white changed into a blood red on the left and a sky blue on the right. It made her realize the separation of her idols and gave her a hard decision to make. In time, she chose the more inviting side, and easily skipped down it. The girl knew that as long as she kept going on this specific path, she'd reach the place she wanted to be the most: In everyone's hearts. 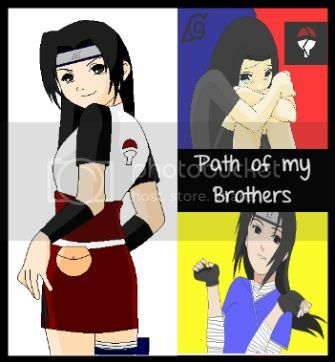 If she stayed on that sky blue path, she'd make it, and she would be seen as, "Ayako: The Honorable Uchiha!" ...What will she do when she's thrown off that one as well? In a cruel world where certain ninja vie for ultimate power, a young boy lost among the crowd that is life becomes a target. On a normal day like any other his path is carved for vengeance. He sets out to discover his true strength but more importantly himself. Through all the lands and all the villages he sets out for knowledge, self-insight, the power he was born with, and most importantly, revenge. Summary: I never expected to fall in love with a pink haired girl with monster strength. I guess life's weird that way. Summary: Imagine if you woke up in your favourite series’ universe. You ask around about the main character, trying to figure out where you are in the story, but it seems like nobody has ever heard about them. You soon realize that you have to play the role of the main character. Writing a self-insert is so much more fun than I thought it would be and basically this is the best and worst idea ever. The last thing anybody needs is for Naruto to be replaced by a panicking shut-in. ; one who knows how to make Molotovs.